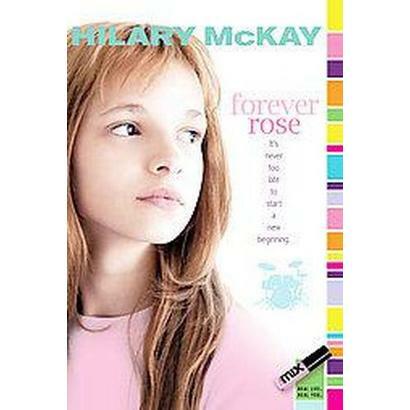 Forever Rose is about an 11 year old girl who lives in England, so her ideas and words and such are different than American. She finds that on most days, she ends up alone in her house. She has three older siblings, but they all have either moved away or are out doing something most of the time. Her father and mother it seems are divorced but you never really find out in this book. Her mother is pretty much always in the garden shed painting. Rose, in the book, is in class six. Which I figured must be like 6th grade; they just use class not grade. She is home alone as usual when she hears a knock on the door and hides behind the couch. Her brother’s friend, David, stops by and he becomes a bit of a problem. Also her friend Molly comes up with a crazy idea that she sadly goes along with. But everything works out in the end. Bottom line: It’s a great book. I finished it and read it over again, it was so good. I think end of 5th,6th, and early 7th grade are good times to read it. I think people of all ages will like it, but I just think those ages will like it best.